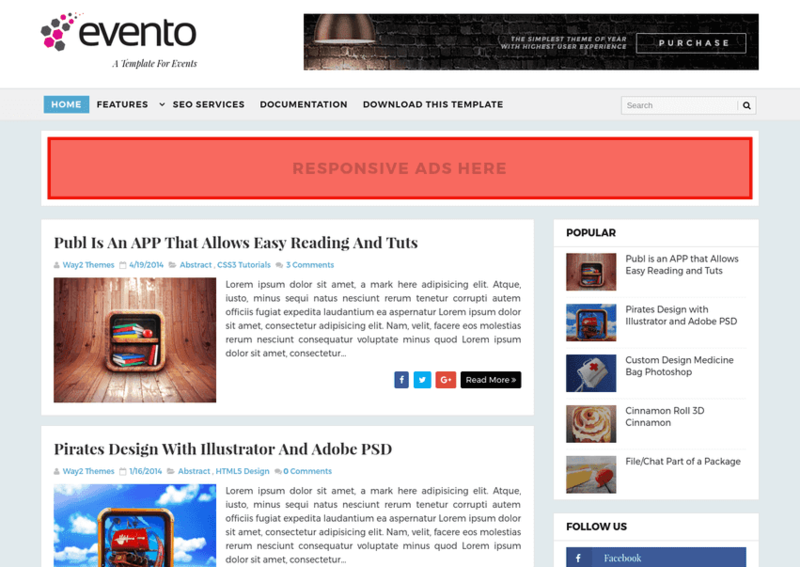 Evento is a event and niche focused blogger template, it is higly SEO optimized and fast loading blogger template. Mainly focused for Event blogs and Niche blogs but it can be used for many others niche's like tech, news, authority, howTo, food, recipe, travel, daily blog, online projects, school, institutions etc. We have tweaked this template at its very extreme to perform great in search engines, the simplicity and minimalist looks of this template makes it fast loading and it will load rapidly fat in slow connections too. Evento comes with multi dropdown menu, related post width, customized navigation with title etc. Following are some of the key features of Evento event blogger template.